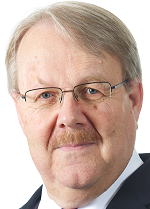 Rickard Lundin, photo: Torbjörn Lövgren, IRF. UPDATE January 18, 2017: The patent application referenced in this post is now public here (EP3086323). Essentially no new physics but a little-known physical effect describing matter’s interaction with electromagnetic fields — ponderomotive Miller forces — would explain energy release and isotopic changes in LENR. This is what Rickard Lundin and Hans Lidgren, two top level Swedish scientists, claim, describing their theory in a paper called Nuclear Spallation and Neutron Capture Induced by Ponderomotive Wave Forcing (full length paper here) that was presented on Friday, October 16, at the 11th International Workshop on Anomalies in Hydrogen Loaded Metals, hosted by Airbus in Toulouse, France. The basic idea is that ponderomotive forces at resonance frequencies shake out neutrons from elements such as deuterium and lithium, and that these neutrons are then captured by e.g. nickel, resulting in energy release by well-known physical laws. Lundin and Lidgren have made a brief successful experiment and they have verified the model through calculations against results from well-known LENR experiments such as the Lugano report with Andrea Rossi’s E-Cat. Earlier 2015 they also filed a patent application describing the process. “We did an experiment on our own but we stopped it. We realised that we were sitting on a neutron source and that’s not something you should do in your basement,” Rickard Lundin, Professor of Space Physics at Swedish Institute of Space Physics and member of The Royal Swedish Academy of Sciences (KVA)*, told me. The scientists are now preparing for a well-planned experiment with all necessary safety measures, ideally with a transparent reactor body since the effect according to the scientists releases a lot of light. Ponderomotive forces derive from the electrical part of oscillating electromagnetic fields, and act on all particles, bodies or plasmas. They are all characterized by a transfer of electromagnetic energy and momentum to charged or non-charged particles. One of them, the gradient force, works independently of the sign of charges. Initially the phenomenon was thought to describe the “heaviness” of light — the ability of light to have a “pushing” force on matter. What Lundin and Lidgren have investigated and published in 2010 is that the phenomenon has a resonance frequency, specific for each particle or cluster of particles, and that the force increases close to the resonance frequency, being repulsive on the low-frequency side but attractive on the other. “The forces are not intuitively predictable, and a bit strange, for example making hot bodies attract matter,” Lundin says. Lidgren, M Sc in Physics Engineering, and co-founder of the oil exploration company Rex International Holding, started to investigate the phenomenon when he discovered strange characteristics of satellite orbits while analysing satellite altimeter surveys to detect potential hydrocarbon reservoirs. The light from the sun was expected to have a pushing force on satellites, but Lidgren discovered the contrary. After a pendulum experiment in vacuum, showing the same effect, Lidgren and Lundin published their paper “On the Attraction of Matter by the Ponderomotive Miller Force“. Lundin was a colleague in the Academy of Sciences (KVA)* with late Prof. Sven Kullander, previous head of the KVA Energy Committee. Prof. Kullander became closely involved in investigations performed by Swedish researchers’ on Andrea Rossi’s devices. Lundin’s interest started with the publication of the Lugano report. “When I saw the Lugano report and the isotopic shifts it all became so obvious,” Lundin told me. He explained that extracting neutrons from the nuclei of deuterium and/or lithium requires energy, and that the trick is to do this in the most efficient way. “Our method is more precise, using the lowest possible amount of energy [through resonance] to shake loose the neutrons. Others like Rossi are creating turbulence through square waves [in the electrical current feeding the heat resistors controlling the reaction — square waves containing a large number of harmonics and thus many different frequencies], and they get a turbulent wave spectrum risking that some frequencies become a little too high,” Lundin explained to me. After getting this insight, Lundin still kept a low profile since the topic is so infected and also because of a conflictual situation in the Academy of Sciences ever since Kullander openly declared his interest in LENR and Rossi’s technology. “I think the critic is based on fear since this research has been so stigmatised before. If there is something scientists fear it is to become like pariahs. It takes a lot of courage to go against established views but I think I belong to those who have learned to take criticism,” Lundin told me. Lundin and Lidgren submitted their paper to the open preprint website Arxiv.org and to the peer-reviewed journal Plasma Physics and Controlled Fusion, PPCF, but both declined to even let reviewers have a look at it, the latter arguing “that the content of the article is not within the scope of the journal”. Arxiv.org even blocked Lundin from submitting further papers during July and August. “I have quite a good track record with many publications and this is the first time something like this happens to me. It’s rude not to offer ordinary review. To me it’s important to get comments and criticism from research colleagues who can say ‘that cannot be correct’ in order to improve the paper,” Lundin said. It was Elisabeth Rachlew, Emeritus Professor and hot fusion and plasma researcher at the Swedish Royal Institute of Technology, and also a member of KVA* and the successor of Prof. Kullander as head of the KVA Energy Committee, who advised Lundin and Lidgren to submit the paper to PPCF. Rachlew also did a review of the paper. “I thought the paper was very interesting, and I was amazed when it wasn’t even sent to reviewers. The answer from PPCF should have been sent immediately, but instead it took months. I guess they were anguished,” Rachlew told me. 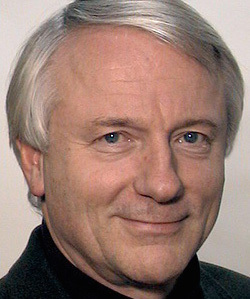 The advantage with the theory by Lundin and Lidgren, apart from that it fits with experimental data and observations, is that you don’t need to overcome the Coulomb Barrier — the repulsive force between the positive charged nuclei in the traditional concept of fusion, which is one reason why many scientists think that cold fusion is impossible. “I also thought so — you can’t overcome the Coulomb Barrier [at low temperatures]. So fusing nuclei with protons won’t work. You may perhaps initiate a very weak process but not reach a level with significant energy release,” Lundin told me. Neutrons, which have no charge, can easily be captured by an atomic nucleus without this problem. A few other LENR theories are also based on neutrons but what this model adds is a solid explanation of where the neutrons come from, which is often lacking in other models. “Our model describes quite a natural process. It’s probably one of the main sources for maintaining a high temperature inside Earth, since there’s high pressure, high temperature and good availability of neutron producing elements [through this process] with basically unlimited resources of deuterium,” Lundin said. P.S. The person who first told me about this research was another member of the Academy of Sciences*, member of the Royal Swedish Academy of Engineering Science (IVA) and former VP of R&D at the multinational Swedish-Swiss power, robotics and automation corporation ABB, Prof. Harry Frank — just to give you an idea of at what level the interest for LENR has reached in Sweden, while the science editors of the national Swedish Radio, SR, and a few outspoken scientists insist that it’s all fraud, or at least that nothing has ever happened in the field, and that nothing probably ever will. SR was even rewarded for this. * Committees of the Academy of Sciences, KVA, act as selection boards for the Nobel Prizes in Physics and Chemistry. ← The Italian edition — Un’invenzione impossible — is finally out! With such an open forum as this, you are bound to get a wide variety of comments. Some will be well founded, well intended and well thought and some just plain silly. But the truth is obvious. Cold Fusion/LENR works! There is just too much experimental evidence and too many really brilliant people working on it for it to be anything but an exciting breakthrough of monumental proportions. Unfortunately this discussion pushes us into a very poorly understood area of physics that must deal with the extremely complicated and controversial math of quantum mechanics as well as the new and poorly understood arena of sub-atomic physics. That provides hot fusion moles as well as the common Internet dweebs an opportunity to lob unsubstantiated attacks at the work. Fear not my friends, Pons and Fleischmann as well as other famed science greats like Newton and Leonardo da Vinci suffered much worse. None of this studies had any relevance to model created by Rossi. Why not create the working device and then talk? One strike of an Ironsmith is stronger than 100 from goldsmith. All these theories from high ranking and high title scientists working in highly paid universities, yet not a single, repeat, not a single working model? Then there is Rossi. No titles, yet has the only working model. Some people want to claim the bread without making the bread. People like Rossi should be encourage more. They make the real difference. It is time that theoretical scientists were made to report to actual invetors. Peer review is not all that good. It doesn’t find errors, and rejects good papers all the time. Most of the accepted papers are relatively minor and uncontroversial. If you look are old Nature magazines, you will find lots of papers already made obsolete, or proven wrong. Nature seem more interested in getting the first publication than in science. They get upset when you preprint. arXiv is really more of what serious science is about. We didn’t even have peer reviewed till recently, I don’t think we need it, nor want it. Editors and unknown reviewers determining what we see? Why? That said, experimental evidence always trumps theory. That is science. Just because you can’t explain it, does not change the facts of a well designed experiment. Once the experiment it replicated, it is the theories that must change. Just because a theory doesn’t explain ALL the known facts, doesn’t mean it shouldn’t be published. The big theories all have holes in them. Is this a good theory? got me. Let’s see the experimental results first. The power of a theory is to predict results, and suggest the optimum construction to show results. The E-Cat experiments I have read are finding very small gains, and their experimental apparatus looks inaccurate to me. They are poorly insulated, when the experiment is supposed to measure small thermal differences. They are in open labs. The gains would have to go up a lot to make a practical energy generator. Environmentalists will do whatever they must to keep LENR from moving forward, they can’t risk it actually being true. “Green” energy isn’t about being clean, or sustainable, it’s about being expensive. All one needs to do is evaluate the I=PAT equation to see what I’m talking about. Hans-Gora,, the Navy scientists detected some free neutrons as well as gamma, transmutation, etc., and published over 20 peer reviewed papers that say it’s real, it works. Their video is on youtube, search for U of Missouri Navy SPAWAR, look for a youtue video that is 1 hour and 3 or 4 minutes long. The video is by the scientists who actually did the work. Well it’s a theory, but Occam’s razor favors the simplest theory that fits all the facts. This theory fits a very small part of the known effects. The neutrons generated are “ultra cold” and remain in the interstitial position the proton that captured the electron was in, for the nanosecond it takes for another proton to tunnel in and absorb it. So they don’t show up on any external neutron detector, the isotopic changes (and beta decays of H4 to He4) are all you see. At least according to BrillouinEnergy that publishes a coherent theory as well as builds a reactor that is reliable and has strong supporting evidence. The practical effect of this theory is that the some of overall energy applied to the reactor can be, in effect, focused at times into very small areas. This is how you can achieve the high energy densities required for neutron spallation. The hi frequencies can be achieved through wave harmonics as the author allude. This may seem impossible, but where have we seen similar effects before? Seth Putterman’s experiments at UCLA coming to mind among others. The materials may vary, but with porous particles of metals confining pockets of hydrogen gas, could not a similar effect be achieved? If neutron spallation can be achieved through the theorized ponderomotive and MHD wave forcing as the theorist propose, (Step 1) then the rest of the reaction should be possible. I am very eager to learn of the experiments planned by the authors. Well, it is good that we start to have theories. it is time for the cold fusion crowd to explain what they think is happening. Mats, I think the peer review system did its job pretty efficiently. Without further ado It put a toe tag on the report. If you take a closer look at the tag you will notice a small remark, ”no autopsy required”. This simplified procedure saves time that is better spent on things that have a non-zero chance to lead to progress. Thanks Mikael. However, I believe we need to wait and see. There are several questions regarding the Swedish paper, and I wouldn’t believe it’s the final explanation. I’m glad though if I can help increase exchange of ideas, since the peer review system apparently won’t touch this topic, sadly. This is the only way to make progress. YOU all nailed it, they know it and so do we. Hope the Sweds getts the founding for further use of, and to, esccalate the work done so far. Did you hear about the Siamese twins that got separated? They suffered from split personality. So be careful! Electron, Proton, Neutron, Deuterium, Tritium, Helium etc. are resonances (spatial harmonics) of the fundamental frequency of space identified in the Compton wavelength of the electron 1.23559 * 10 ^ 20 Hz. I will try to make contact with the two scientists to let them know of my studies. So, the appeal to authority is from the split personality of Joshua Cude aka Popeye aka Fact Police?? Split personalities generally require a checkup from the neckup. Just sayin’. I’m confused. Is “Joshua Cude” the same clown as “Popeye” and the “Fact Police?” Split personalities usually indicate a need fora checkup from the neckup. When it comes to theory, my ah ha moment was when Chris said this during an “LENR Conversation between a Researcher, Chemist, Astronomer, Quantum Theorist, Student, and a Layman” at the Quantum Physics Group @ Linkedin. During subsequent conversations, I found that nuclear research includes ‘crunching the numbers’ in the fastest supercomputers, using more than one excepted theory, applied to a analysis of a system, looking for correlation, contrast, etc. The LENR theories proposed are numerous. We have yet to create a computer program to apply a few of these to a system analysis simultaneously. Inevitably someone will. The theory of ponderomotive forces at resonance frequencies and many other LENR theoretical models are “contributing to comprehending nuclear behaviour”. As far as threshing for commonalities, it’s “paramount”. Here are a just few of the models to peruse, thresh and winnow with (there are many others). “A new mechanism of LENR in solids is proposed, in which DBs play the role of a catalyzer via extreme dynamic closing of adjacent H/D atoms required for the tunneling through the Coulomb barrier. DBs have been shown to arise either via thermal activation at elevated temperatures or via knocking atoms out of equilibrium positions under non-equilibrium gas loading conditions, employed under radiolysis or plasma deposition methods. Why don’t ask Rossi itself where neutrons were in all Bianchini’s measurements? Or even where they were while questioned by Florida Bureau of Radiation in 2012? They said “Bibbidi Bobbidi Boo”, Ni-62 appeared and 11/13 GJ disappeared. Or might be they prayed the right Lord – Thor, may be? Or was he Loki? Please let us know the answer to your question, positive, none or negative. Similar waveforms are shown in the users manual for the device. The comments of the authors on their experiments are confusing. They say they “realized” that they were “sitting on a neutron source”. Does this mean that they detected neutrons or some other signature of nuclear effects, or just that they realized that their theory would imply the existence of a neutron source? Is there some way to find out if they actually any clear signs of nuclear effects in their experiments? Though I will truly welcome actual progress in physics, nonsense always remains nonsense. You don’t have to bother reading about the ponderomotive forces dislodging neutrons to find problems with this theory, which is presumably why it has been rejected even by arXiv. (1) Like the Widom-Larsen theory promoters, they pat themselves on the back for finding a way to avoid the dreaded Coulomb barrier, which can be overcome at an appreciable rate by tunneling, at energies on the order of 100 keV. So to avoid the need to find this 100 keV, they introduce processes that require way more energy. That doesn’t sound like someone’s being clever. WL introduced electron capture that requires 780 keV. These guys introduce neutron spallation that requires 2.25 MeV for deuterium (not present in ecats), or 7.25 MeV for lithium. So, for Lugano, their substitute mechanism to avoid the Coulomb barrier requires about 100 times more energy. (2) As with nearly all theories of LENR, they fail to explain the absence of energetic radiation. Neutron capture by those nickel isotopes to form other nickel isotopes are well-known reactions, and they produce gamma rays in the energy range 8 to 11 MeV. Where are they? The gamma ray budget does not balance. (3) According to the proposed reactions, you need 4 lithiums for every nickel atom. Since the lithium mass is about 1/8 that of nickel, the mass fraction should be about 1/2. And yet analysis of the fuel shows about 1% lithium by mass. The neutron budget does not balance. (4) According to the Lugano report, essentially all the nickel is transmuted to Ni-62. That would correspond to about 16 GJ of energy based on the reactions proposed. But they only report about 5 GJ, and corrections to the interpretation suggest half that. What happens to the rest of the energy? The energy budget does not balance. So, basically, nothing fits the Lugano results, and that’s supposed to be the inspiration for the theory. Current fear of new ideas in nuclear physics will be broken quite soon (something between 6 months and 3 years is my guess). Could some electrical engineer comment on this ? Sure. Build it and I will believe. So instead of reaching for the sun, we only have to reach for the core of the earth! Where is a 79-THz or even a 13 THz, 400 W field inside the hot-cat? Who or what is going to produce it? Maxwell’s demon? We will exemplify the process with two types of resonances relevant to matter in the plasma state, using (1) An ion acoustic resonance of the corresponding gas/plasma (a=1.1·10-9 m, f=7.9·1013 Hz), and (2) An ion acoustic resonance of a Deuterium gas/plasma (10%), (a=6.1·10-9 m, f=1.3·1013 Hz). Let us be generous and assume that neutrons can be shaken off nucleuses. Neutrons react eagerly and effortlessly with nucleons because their electrostatic defense is worthless against them. A neutron impregnated nucleus becomes “activated” and has en excess energy that it will have to dispose of by ejecting one or more particles. Some LENR-experiments (somehow) produce heat but never neutrons or gammas. Therefore the proposed mechanism could not be active in these experiments. OK. The missing piece for me was the dependency on the strong force. But maybe the “binding energy” in the paper refers to just that. Presumably the force acts on the charged nucleus, which shakes loose the uncharged neutrons. Well known (as rubbish ) Lugano report is really a good way to establish the basement and seriousness of this new piece of news. Good job, Mats, keep it up. By the way, any news from Rossi and Darden? I don’t understand how the neutrons are separated from an atom. The ponderomotive Miller force acts on charged particles. This force is zero for a neutron as it is not charged. When the protons are moved by this force the neutrons move along as they are “glued” to the protons by the strong nuclear force. I suppose the shaking out of neutrons from the atom means to act against the strong nuclear force. How comes there is no dependency on the strong nuclear force described in the paper ? It is quite cool that one of the members of the Nobel prize committee is writing a LENR paper. This study could be a huge catalyst for freeing up scientific budgets and accelerate LENR momentum. (Or should be call it RIToN from now onward :)?